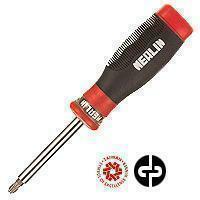 Ratchet Screwdriver | Meeng Gang Enterprise Co., Ltd. Product ID: RH8 Nu. Com. The ratchet screwdriver set provided by Meeng Gang includes screwdriver bits and drilling accessories to handle various tasks. We provide forward and reverse ratcheting functions available in our ratchet screwdriver that meets many needs for power tools. All of our products from power screwdrivers to drill bits go through rigorous testing to make sure that they meet the TUV standard verification as well as ISO 9001:2008 certification. The hand tool is the basic of the industry, maybe the automatic production line seems main stream on the market, but the precious and practical hand tools are still useful. For example, to fasten or loosen something such as tires or shields, using the ratchet screwdriver would make the effort easy and efficient. We provide the products under strict quality control to satisfy our valued customers. Besides, the material and process are also the factors might be effective to the quality of finished goods. The material adopted by Meeng Gang is from reliable suppliers, hence the ratchet screwdriver and screwdriver bits we made are durable and ideal for all related jobs. The customized order is available as well; you can always get what you need from Meeng Gang. Please view at www.allproducts.com/tool/mgtools/ or contact us directly. Magnetised ratchet design with signature seethru cover. A body dynamics made of PTR & PP, with flat bottom easy to stand on work-piece. Durable, easy to use and ideal for home. Suited for all type of jobs. An instantly engaging clutch that generates up to 300 KGF-CM of torque. Avant-grade type present amazing value, worth you to have one.